Hello,I'm Molly Halligan. I am the founding director of the Academy of Precision Teaching in Las Vegas, NV. Molly Halligan, M.A., B.C.B.A. has been a Board Certified Behavior Analyst since 2010 and has a Masters degree in Psychology, with an emphasis in Behavior Analysis, from the University of Nevada, Reno. She also holds a bachelor’s degree with a dual major in Psychology and Speech Pathology & Audiology from the University of Nevada, Reno and is currently pursuing licensure as a Behavior Analyst within the state of Nevada. 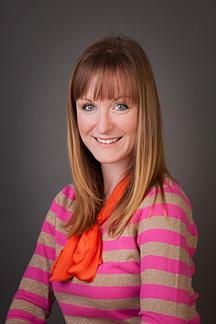 Molly Halligan has been working in the field of behavior analysis for over 10 years. She began her career in Behavior Analysis by working at the UNR Early Childhood Autism Program where she provided 1:1 ABA services to children diagnosed with Autism. She also trained and supervised undergraduate tutors who worked in the program in her role as Tutor Trainer. Molly Halligan also worked at the Center for Advanced Learning (CAL) in Reno, NV. At CAL she provided academic instruction for children ranging from developmentally disabled to gifted, utilizing the techniques of Behavior Analysis to dramatically improve the academic achievements of her students. In her role as Case Advisor at CAL she supervised cases and instructors . She also provided training for new instructors and case advisement for clients of the Autism Rescue Division at CAL. Molly Halligan specializes in using learning science to enable all learners to reach their full potential. Her work comprises of utilizing data based teaching techniques to identify the skill levels of each individual learner and teach them to reach their full potential.